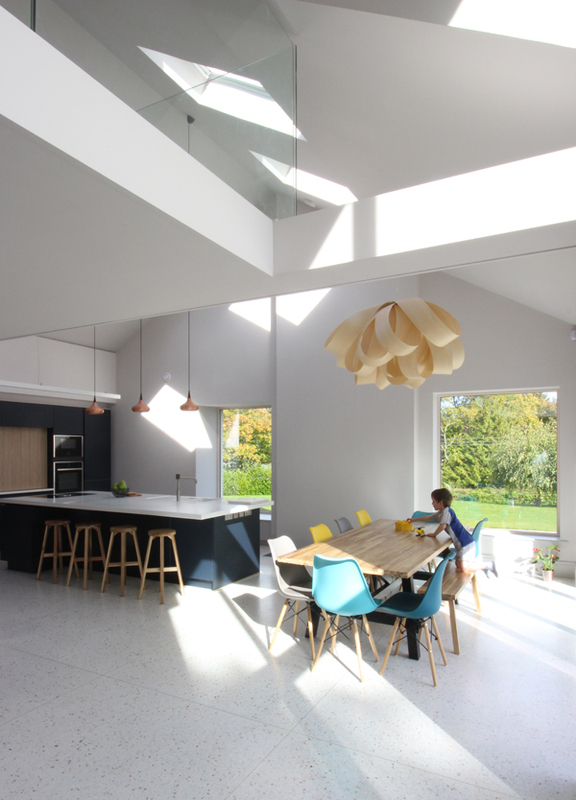 A project to fully refurbish and extend a 1980’s bungalow outside Enniskerry, Co. Wicklow, creating a warm, modern family home. 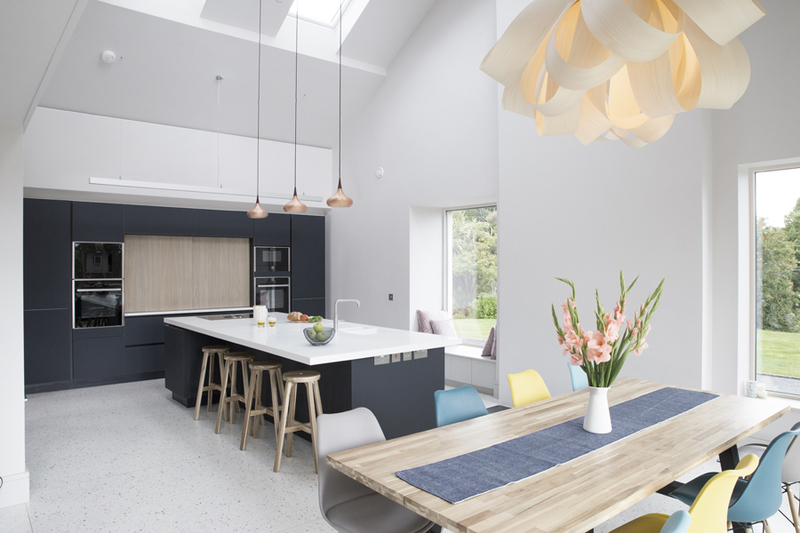 Double height glazing and a mezzanine have been inserted into an opened up double height space flooding the main new open plan living area with sunlight and views of the Wicklow Mountains. 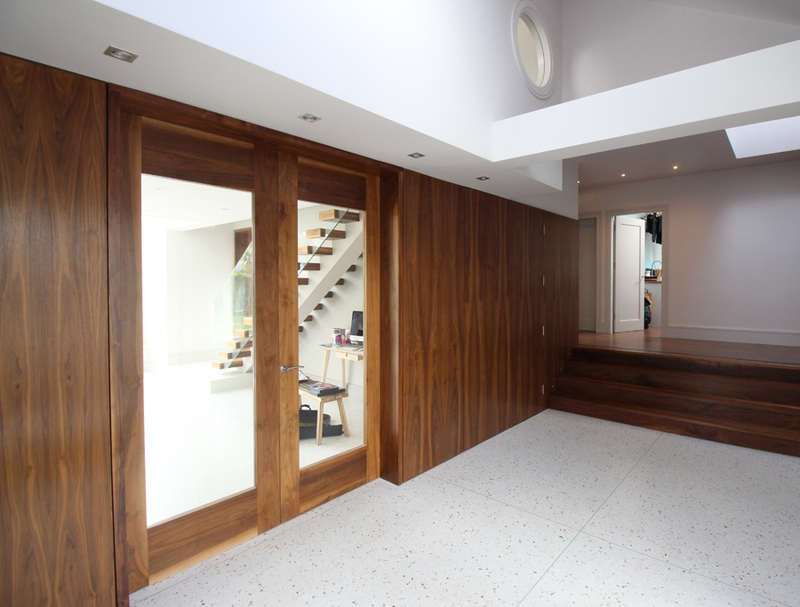 Terrazzo floors contrast with warm timber panelling. 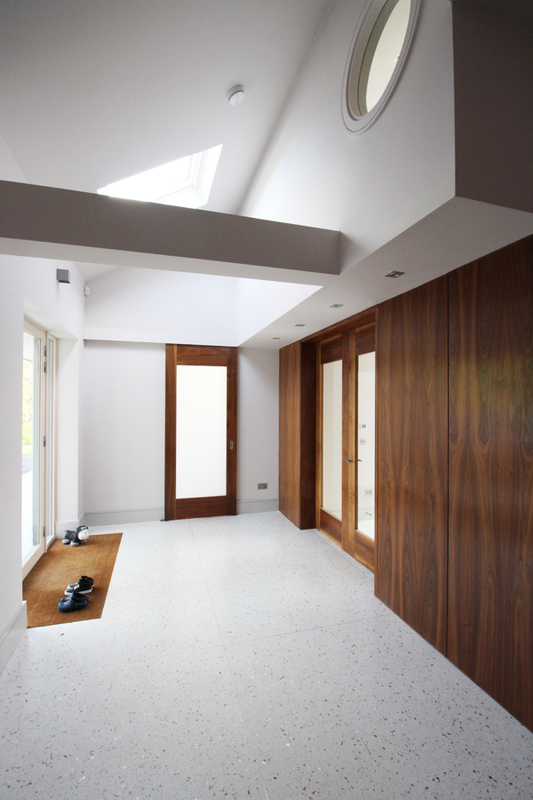 Sliding glazed doors connect rooms and allow sunlight and views through the house. 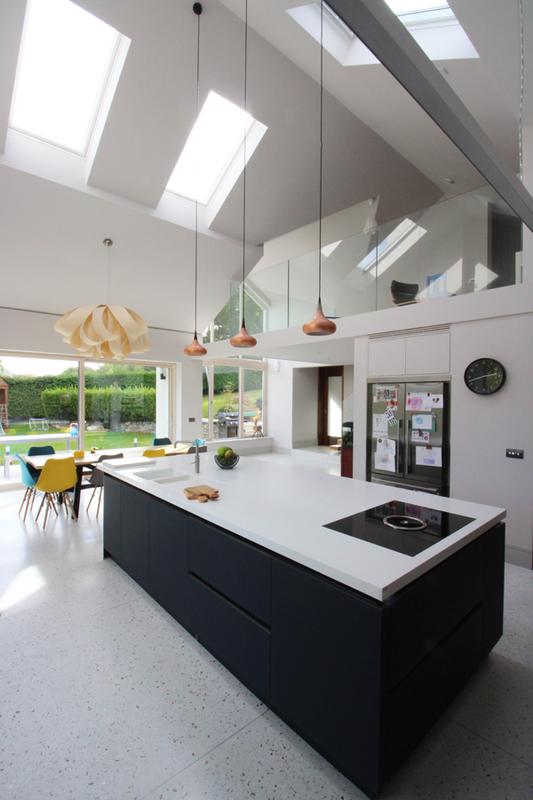 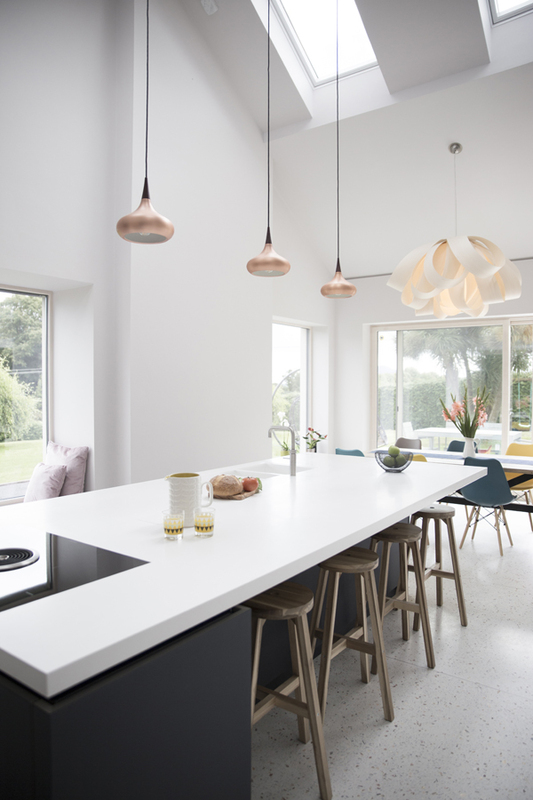 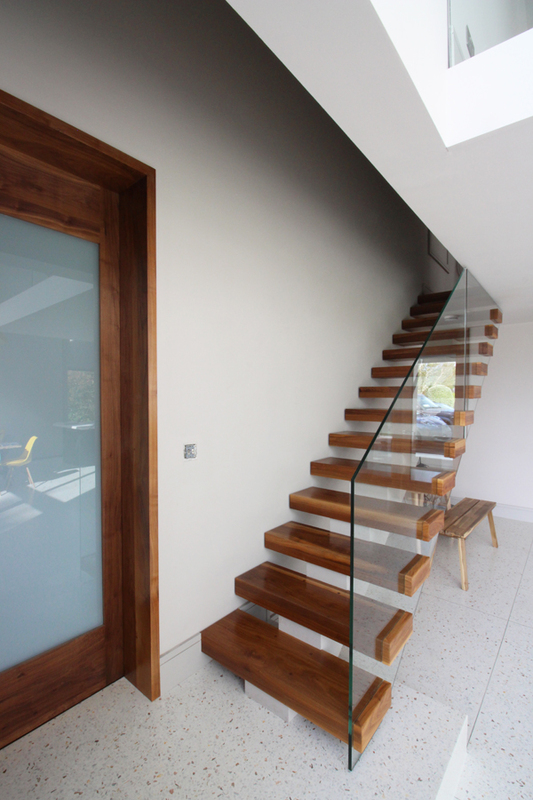 Photographs by Keller Architects and Noel Dempsey Kitchens.